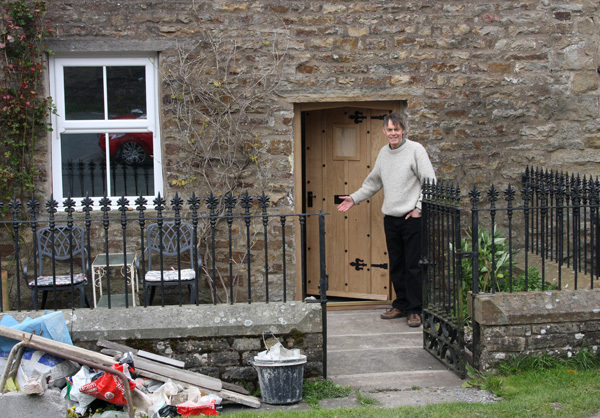 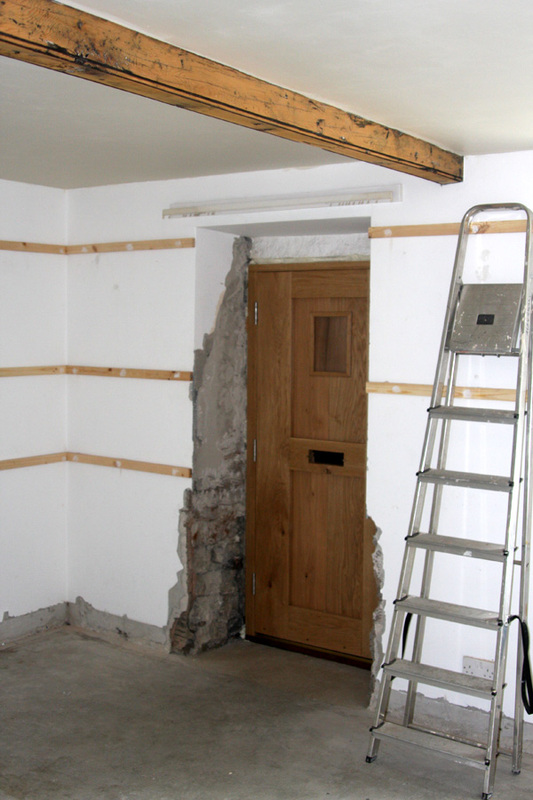 It was originally a door, then a window, and now it's back to a door again, as work progresses in turning Brian's front room at Hillcrest into a small working studio and gallery, with its own entrance. See how the front of the house looked before, here. Inside, there's much work to be done!